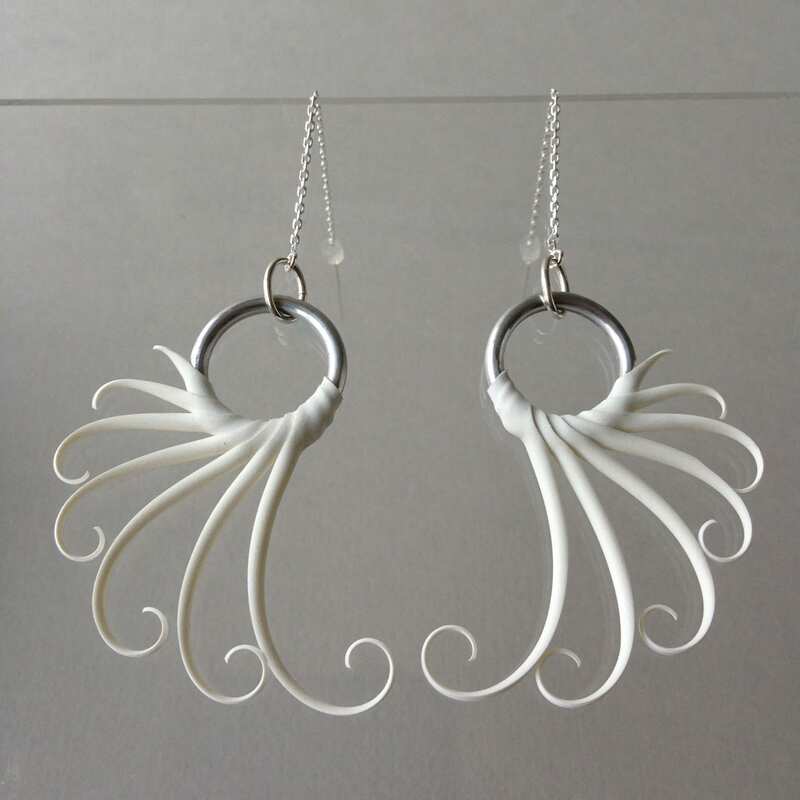 These are based on smaller versions of the wing style rings normally worn on the finger, but have been modified as elegant dangling earrings. Earrings pictured hanging from conventional ear-wires. 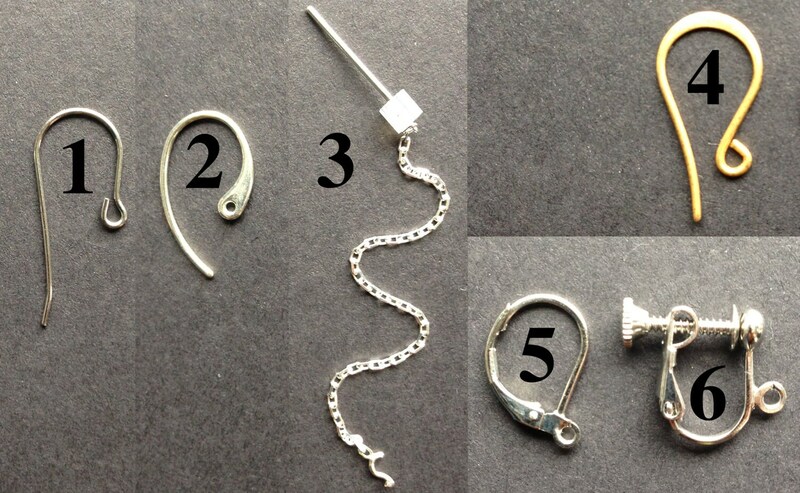 Sterling silver box-chain "ear thread" which is threaded through the ear and allows for the height to be adjusted for a dangly look or worn closer to the ear are also available. 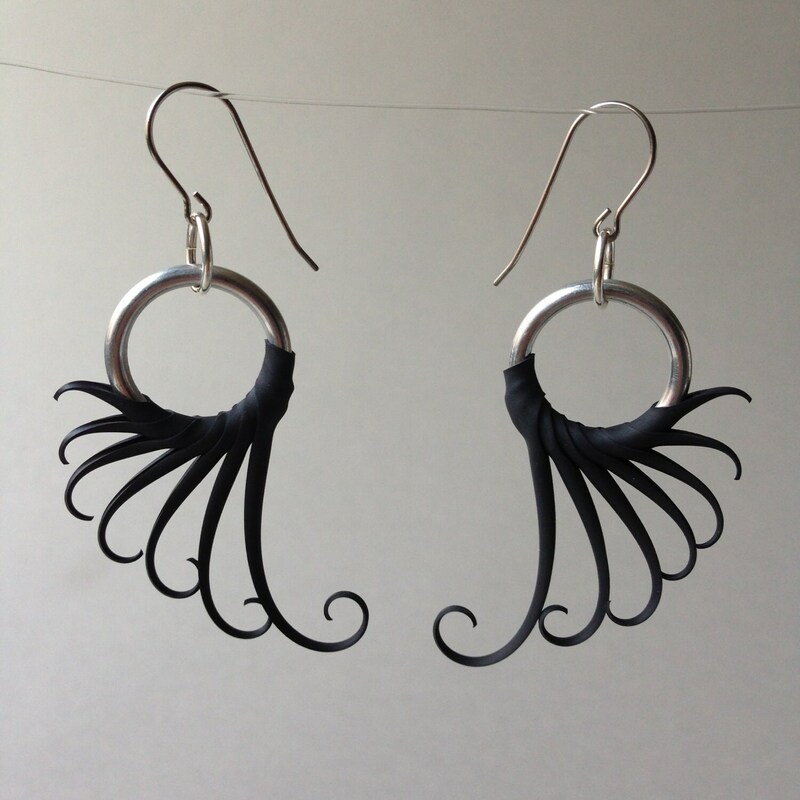 These earrings are simpler and perhaps more conservative than my other designs, but still elegant and eye-catching. They make a great pairing with the white plume ring as part of an ensemble. As with all of my jewelry, these are made of soft, flexible rubber over aluminum, so they won't cut you or catch on clothing, and are actually deceptively durable and lightweight! Other colors available upon request, just ask. Colors available include: white, black, clear, purple, red, orange, brown, green, blue, or yellow. Combinations are also a possibility.